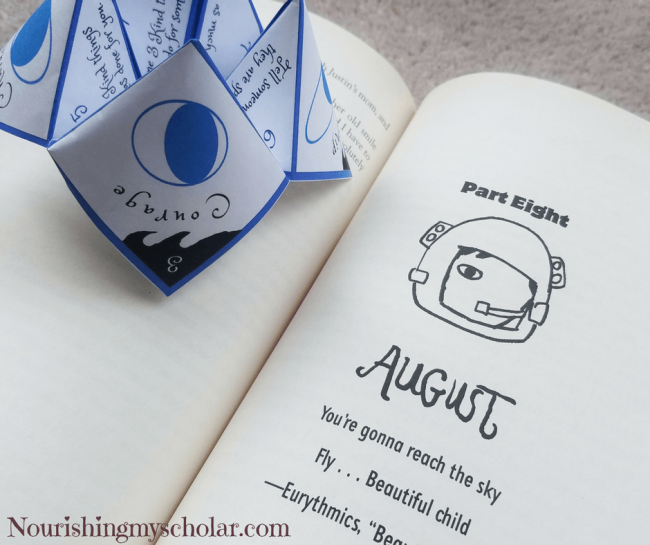 August Pullman has stolen my heart along with the hearts of millions of readers…including my 10-year-old. 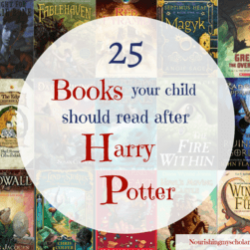 This book was AMAZING and a huge hit in our home! 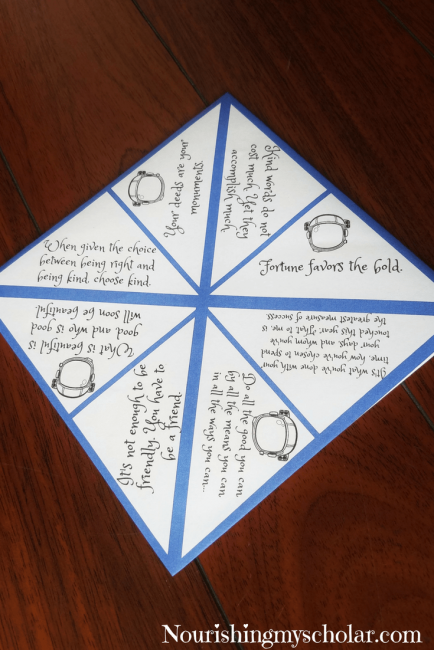 I created the Choose Kindness Wonder Book Cootie Catcher to help inspire my kid’s kindness toward others. 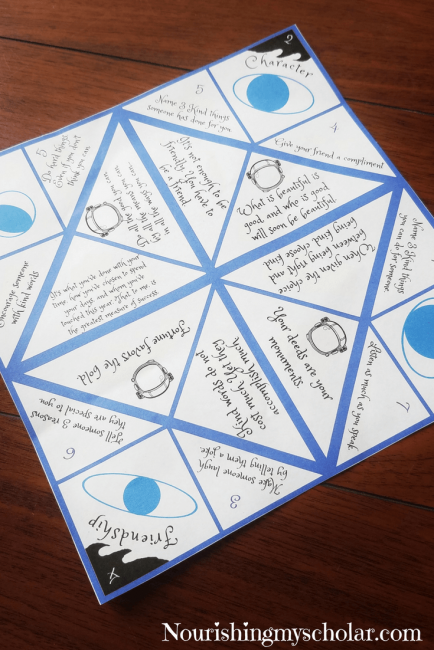 This activity is full of encouragement because we used Mr. Browne’s precepts from the Wonder book. You see, Mr. Browne’s precepts play an important role in the book. 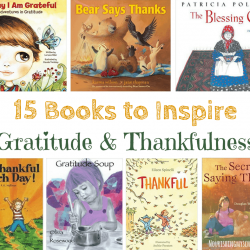 Such wonderful food for thought! 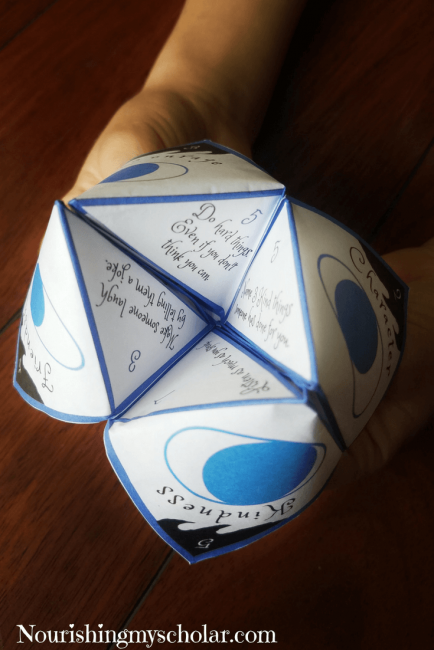 Then, I thought…why not create a partially blank cootie catcher, or origami fortune teller, so that the kids can write in their own precepts just like Auggie and his classmates did! 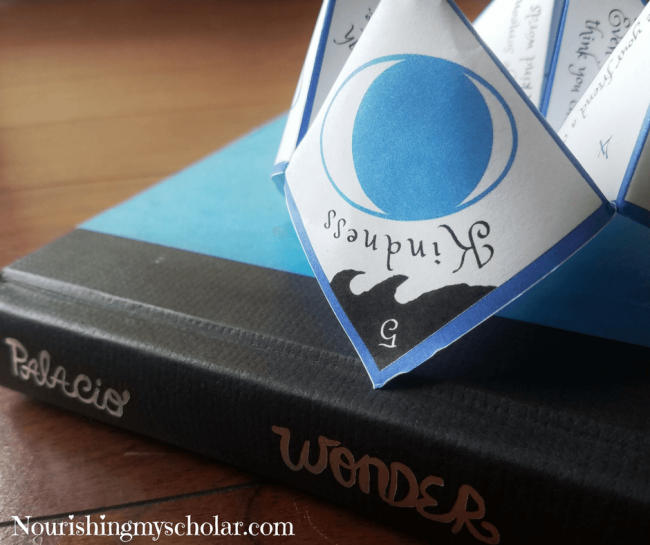 Want to do a study on the book Wonder? Be sure to check out Brave Writer’s Arrow Guide! 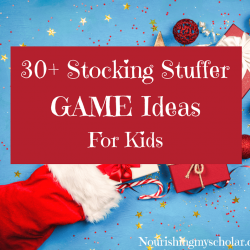 It’s filled with passages for copy work, dictation, grammar lessons, punctuation, spelling, vocabulary, and precept writing activities! 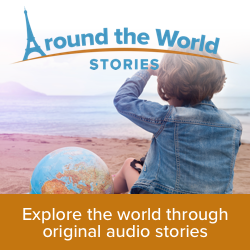 If you are looking for more inspiring quotes and words of wisdom then be sure to check out 365 Days of Wonder. It is a lovely companion to the book. With the pattern facing down, fold all four corners in toward the center. Be sure to watch your lines. Try to make them as even as possible. Turn the pattern over so that Mr. Browne’s precepts with the astronaut helmets are facing up. Now fold the corners into the center again to create a smaller square. Next, fold the square in half so that Courage and Character are on top. Make your crease. Then fold it the opposite way so that Friendship and Courage are on top. Make another crease. Finally, place your fingers into the bottom of the paper and pop it up to make four cone shapes. 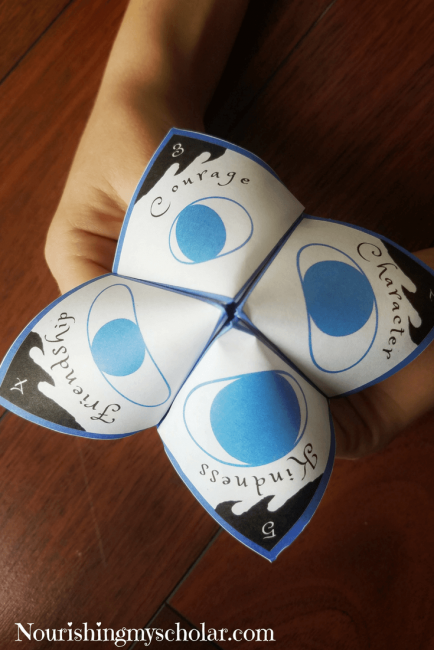 Choose Kindness Cootie Catcher is ready! 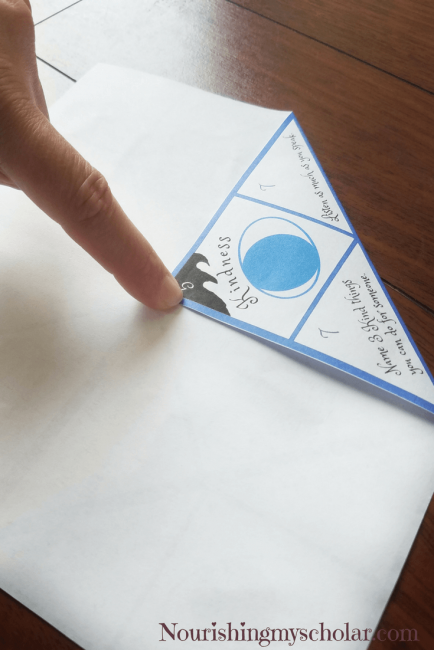 This is a Subscriber only Free Printable! 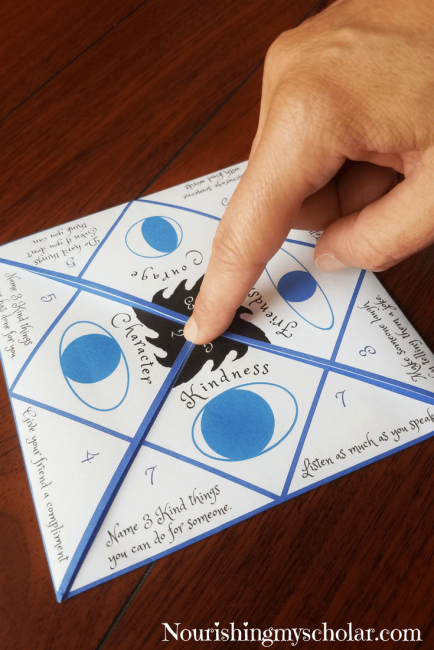 Subscribe to our mailing list and you will receive access to our Free Subscriber resources including the Choose Kindness: Wonder Book Cootie Catcher. OR you can purchase it at Teachers Pay Teachers! 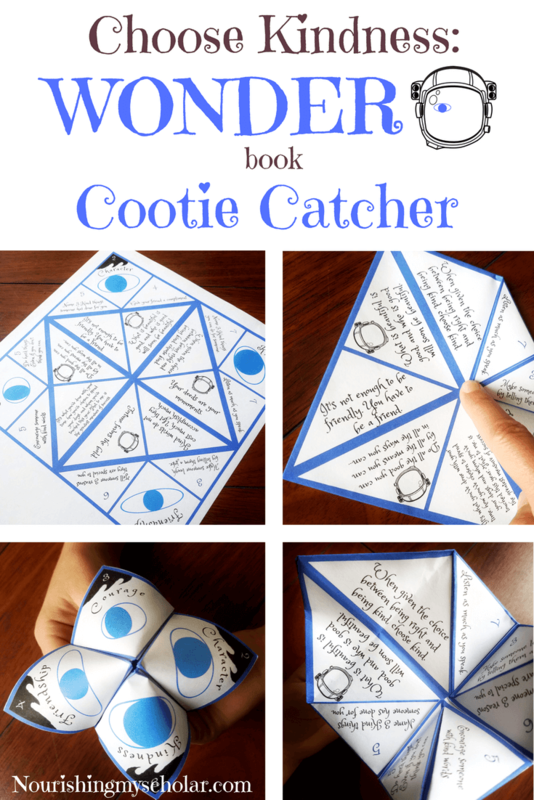 How to play the Choose Kindness: Wonder Book Cootie Catcher Game. 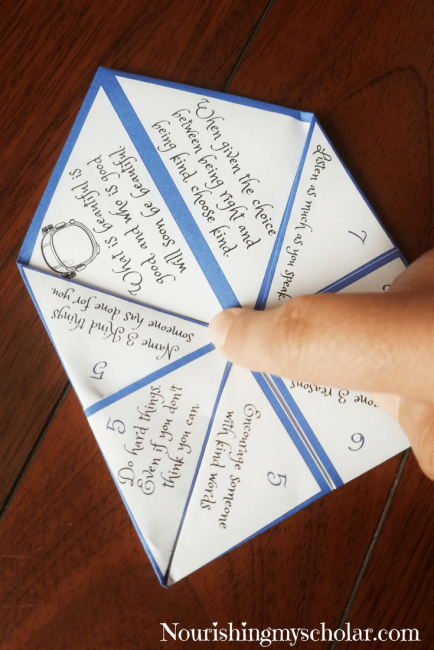 Hold your Choose Kindness Cootie Catcher with two hands. Place your thumbs and pointer fingers inside the cone shapes. 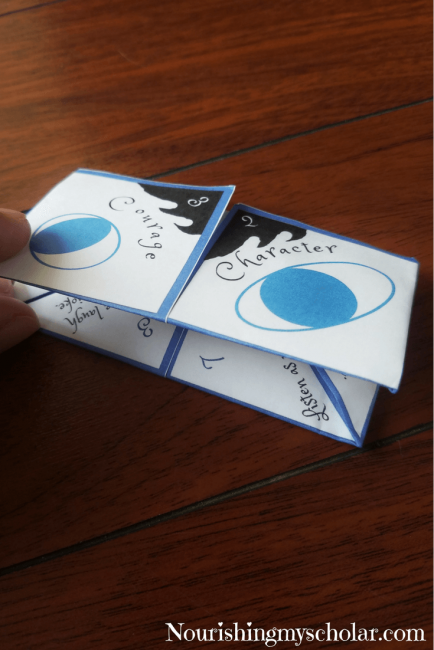 The person playing will choose one of the eye images on the top. Either choose Courage, Character, Kindness, or Friendship. Each picture has a number associated with it. 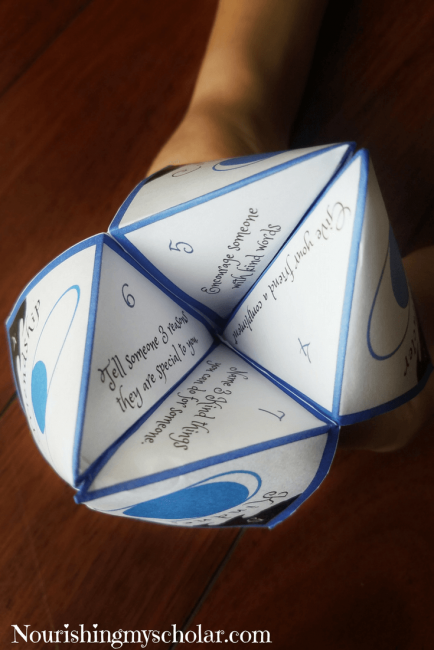 Open and close the cootie catcher alternating between up and then across with your fingers. 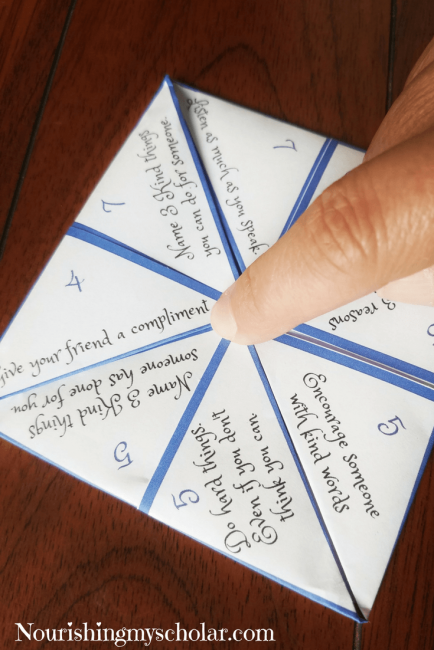 For example; if you choose “Kindness.” you will open the cootie catcher 5 times. 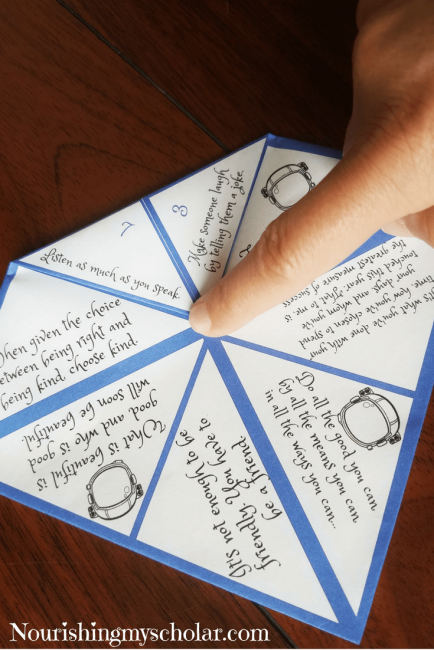 Then you will choose one of the kindness actions inside the cootie catcher. The number above the action tells you how many times to open and close the cootie catcher again. Repeat the process as much as you like, though I recommend a total of 2-3 times. On the final selection, instead of counting out the numbers again, you will open the flap to reveal one of Mr. Browne’s precepts and encouragements. 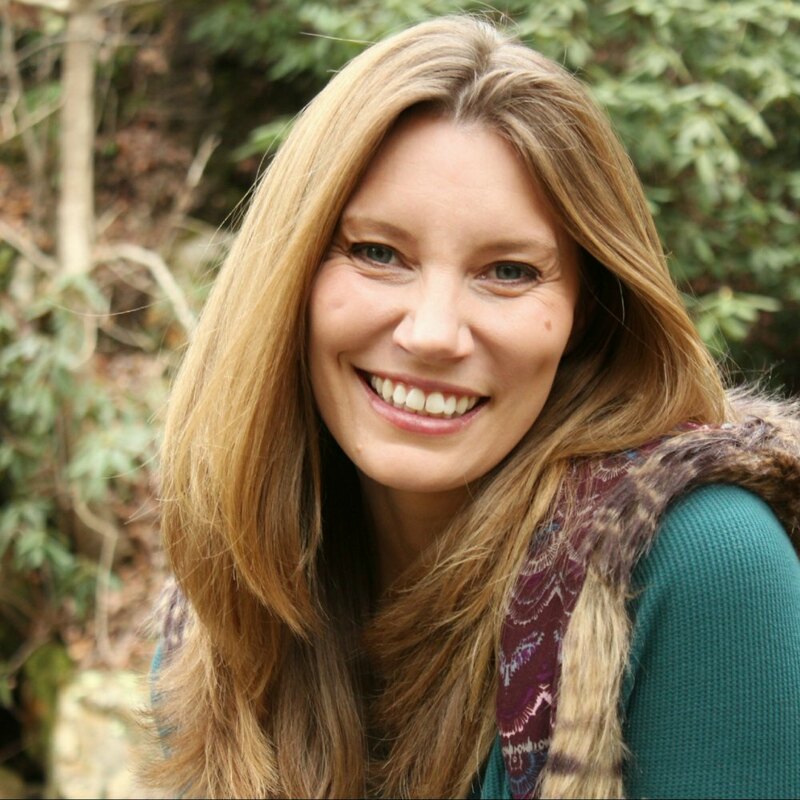 How will you encourage kindness? I subscribed and still can’t get the wonder cootie catcher. Hello, check your email for a welcome letter from me. 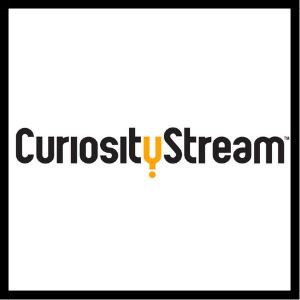 In it there is a password to unlock the subscriber resources. Let me know if you have any trouble. 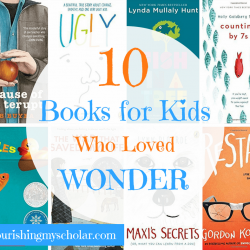 I would like to print the cootie for the book Wonder. Can you email the file? 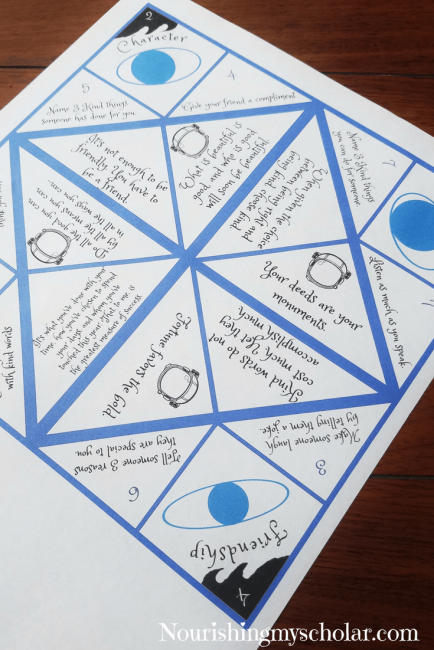 The cootie catcher is in our Subscriber library. 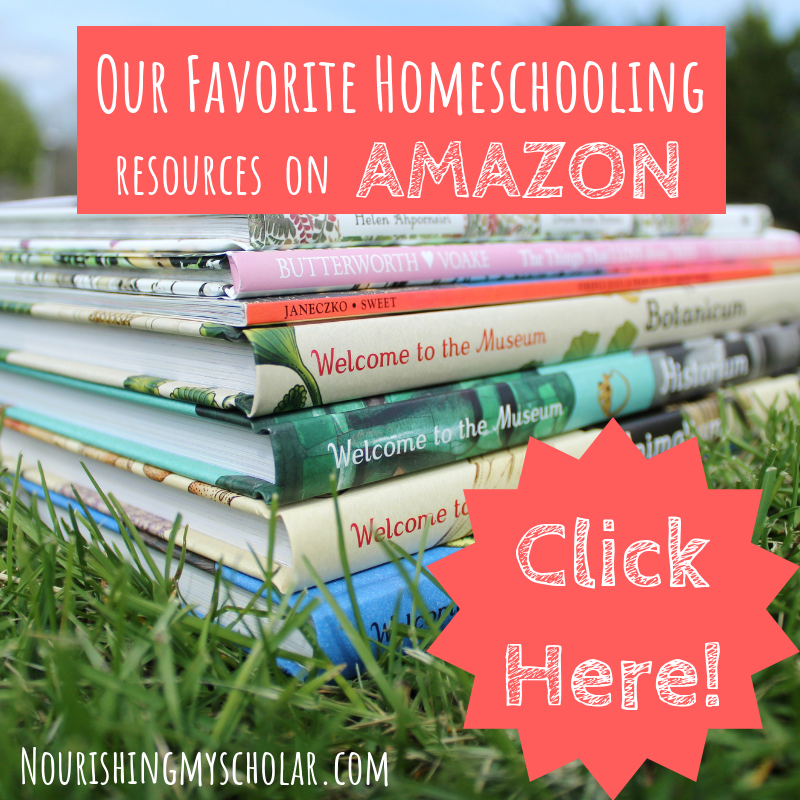 As a subscriber, you are sent the password that gives you access to download all of our printables.